In the far-east of Timor-Leste, where the road narrows to one lane overhung with vegetation, where crocodiles still lurk in the rivers, and where freedom fighters were born, lies Lospalos. It’s a small town of about 17,000 people that tells its story openly. The single main street shows signs of past conflict. At the main intersection sits a victory statue, a symbol of the key role this region played in Timor-Leste’s Independence from Indonesia in 2002. Walls showcase street art, an emotional expression of history and hope. Most people walk—motorbikes are few and cars even fewer. Some children sell boiled eggs and vegetables in the streets so they can afford to go to school. 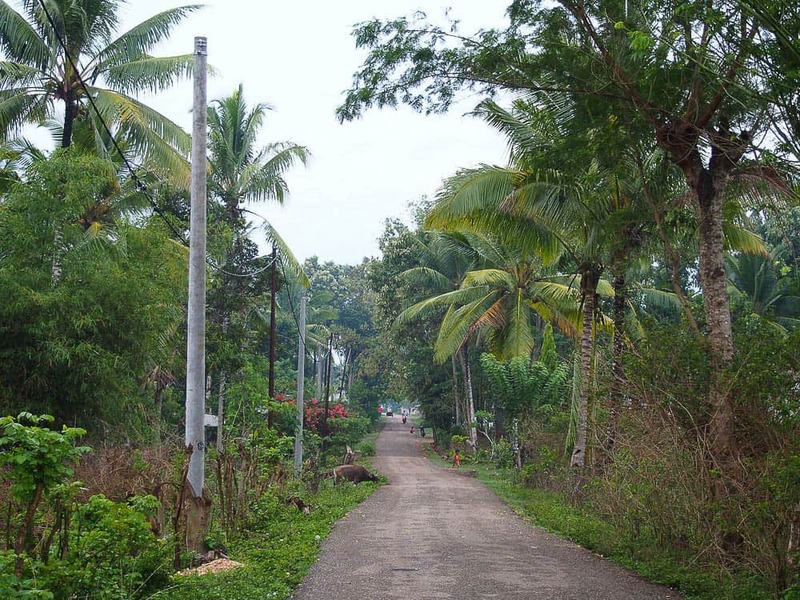 There are limited opportunities for work, and the underlying pressures of development have placed a strain on the community. Despite the challenges brought on by decades of occupation and unrest, a vibrant culture of art, music, oral tradition, performance and costume endures. 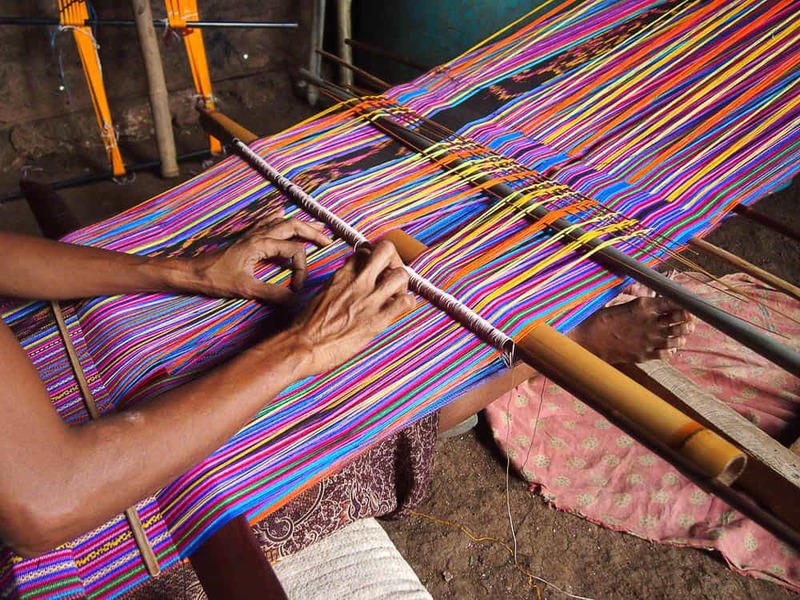 The practice of hand-weaving tais cloth, Timor-Leste’s signature textile, was barely hanging on by a thread at the time of Independence, but in the past 15 years, it has successfully been revived in Lospalos and in other communities. 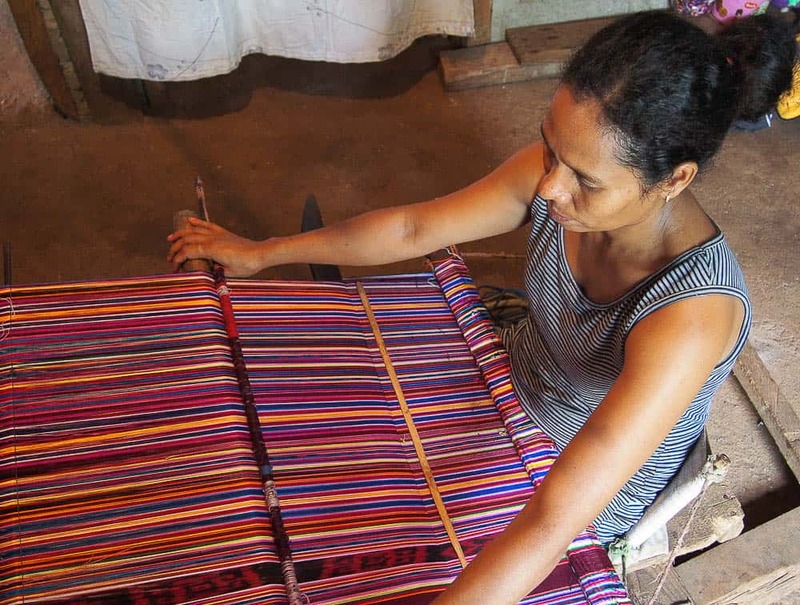 New co-ops that promote tais weaving as a source of income for women play a major role in preserving the social and cultural significance of this tradition. Mana Maria, another local weaver, was also taught to weave by her mother. She stores her loom and the rudimentary tools needed for weaving under a bed in the corner of her living room. 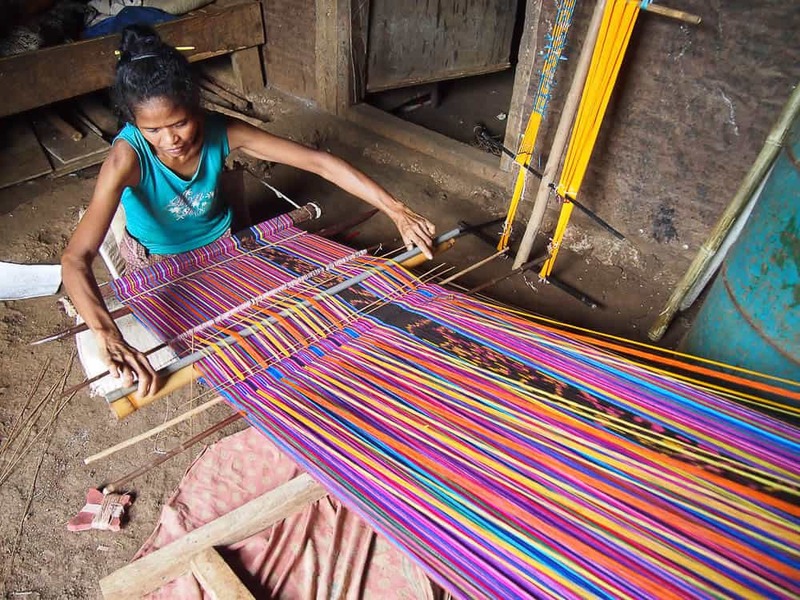 The long length of brightly coloured tais she unfurls showcases two skills commonly used in Timor-Leste to create patterns and motifs: futus, an ikat tie-dyeing technique, and meli-meli, a floating weft technique. Mana Maria is one of approximately 80 women who are part of LO’UD Co-operative. 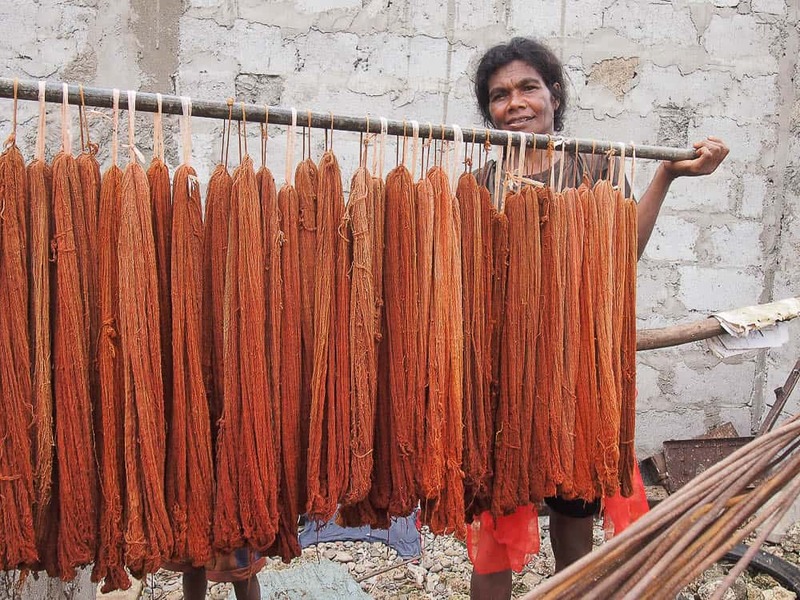 The organisation was established in 2007 by local weavers in Lautem District in partnership with East Timor Women Australia (ETWA), a non-profit based in Melbourne. LO’UD unites tais weavers from three distinct groups—one in Lospalos, and two in the nearby town of Iliomar—providing them with design advice and training opportunities, and encouraging them to share materials and resources. Traditionally a ceremonial textile, tais textiles created by the co-op may be used for homewares and lifestyle products, sold to tourists and international buyers under the LO’UD label. In the backyard of another house in Lospalos, a group gathers around a vat set under the shade of a palm tree. One woman grinds leaves, bark, ash and clay to extract natural colour pigments; another loops thick, lustrous skeins of freshly dyed cotton over a wooden pole to dry in the sun. In a nearby shed, the threads are sorted for distributing among LO’UD members. 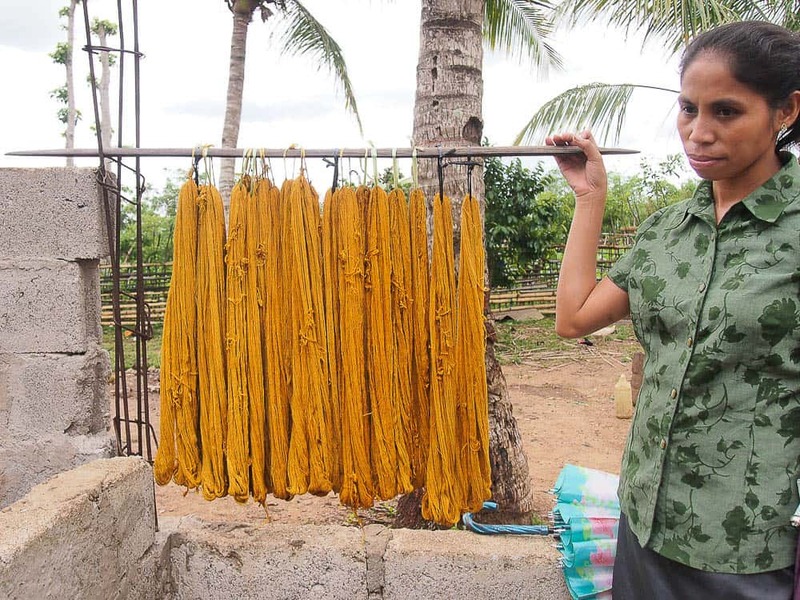 Using naturally dyed cotton vine (known locally as kabas) in the place of synthetic fibres, which are becoming increasingly popular in Timor-Leste, yields a better quality tais and helps the co-op manage its environmental footprint. According to ETWA, the use of specific colours in tais is deeply symbolic. Red represents the liberation struggle, black stands for triumph, and yellow for the nation’s colonial remnants. These three colours are mirrored in the flag of Timor-Leste, and just one way tais is used as an expression of national identity. Both dyeing and weaving are intimate social processes, usually done in the company of other women. 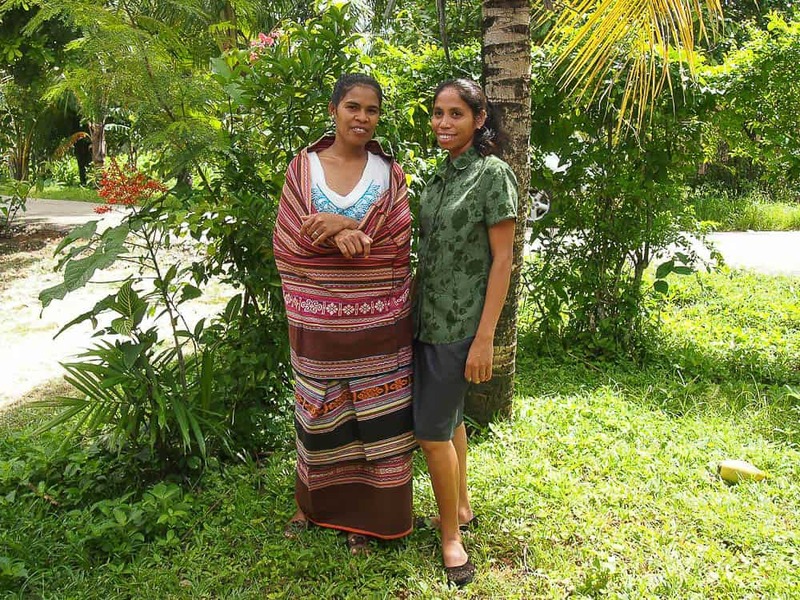 In Lospalos and elsewhere in Timor-Leste, transmitting weaving knowledge from mother to daughter is interwoven with a cultural system of collaboration and respect, where women, men and young people work together to share cultural practices in a way that benefits the entire community. Under LO’UD, women who might otherwise be isolated, both socially and economically, are once again able to work together towards a common goal. This reflects a broader social structure in Timor-Leste, where people once built their societies on a system of connectedness and community, a set of values and beliefs surrounding kinship, ceremony, spirituality, agriculture, medicine, architecture, music and weaving. Many of these social systems were unique to different cultural groups. The Makalero people of Iliomar were guided by fulidai-dai, a cultural system that fosters collective community action and decision-making, and the generational passing of knowledge. Within fulidai-dai, women and men worked together to farm, build houses and care for children, for example, as well as to share creative knowledge such as the weaving of tais. The Fataluku people of Lospalos based their cultural system of mutual respect on ratu, the kinship to which someone belongs and a key socio-cultural structure that encouraged cooperation and social unity through shared obligations and values. It’s a system that is intangible in nature yet intrinsically linked with tangible cultural practices such as weaving. In the context of Timor-Leste as a developing nation, there has often been a failure to recognise these traditional systems of life in the national agenda. And, like everywhere around the world, people are drawn to opportunities presented by city life and education, weakening the traditional cultural systems in remote communities like Iliomar and Lospalos. This can translate as a disconnection from deep-rooted and complex systems that are essential for the social fabric. Yet there are also examples of cultural strength and revitalisation at the grassroots level, where culture is harnessed once again for the greater good of the community. 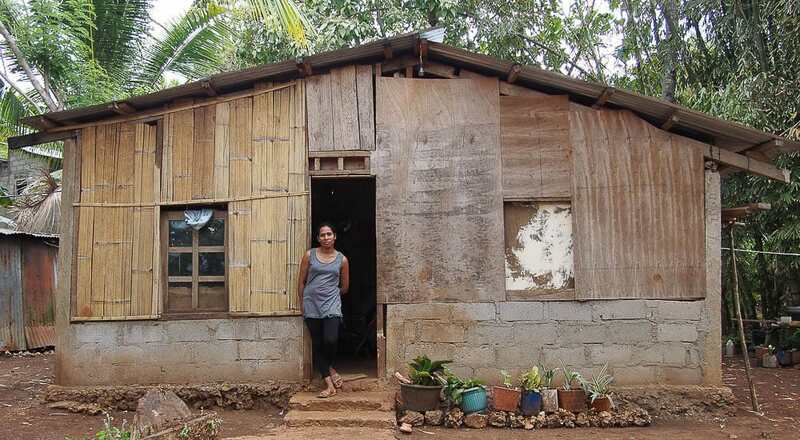 In Lospalos and Iliomar, LO’UD is helping to safeguard traditional practices while offering a means for women to support themselves and their families. 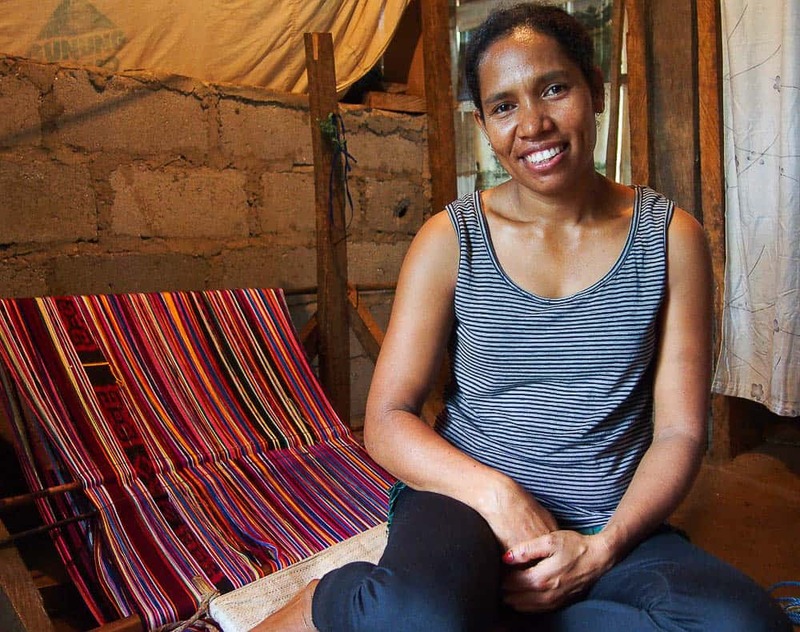 Up to 80 percent of women in Timor-Leste are illiterate, thus tais weaving provides a unique opportunity for mothers to lead their families out of poverty. The LO’UD weavers of Lospalos and Iliomar are supported by East Timor Women Australia (ETWA). The safeguarding of tradition and culture in Lautem District is led by community members with support from Many Hands International. Brandao C, E (2011) ‘Culture and its impact on social and community life: A case study of Timor-Leste’, EWER Policy Brief No. 5, Belun and Centre for International Conflict Resolution. De Carvalho D (2011) ‘Local knowledge of Timor-Leste’, UNESCO Jakarta. Grenfell D, Walsh M, Trembath A, Norohona C and Holthouse K (2009) Understanding community: Security and sustainability in four Aldeia in Timor-Leste, The Globalism Research Institute, RMIT, Melbourne. McWilliam A (2011) ‘Fataluku Forest Tenures and the Conis Santana National Park in East Timor’, Chapter 11 in McWilliam A and Traube E, G (eds.) Land and life in Timor-Leste: Ethnographic essays, ANU E-Press, 2011. Marian Reid is a Melbourne-based writer with a background in communication for non-government organisations. 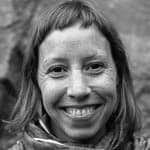 Her work is informed by place, people and culture, and she works globally with communities to tell stories that give voice to marginalised people and forgotten places. She recently spent time in Lospalos researching cultural voice and visibility with Many Hands International. Emily Lush is a storyteller and communications consultant currently based in Hanoi, Vietnam. 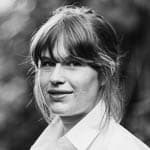 She regularly works with clients in the development sector and has a special interest in traditional textiles and craft-based social enterprise. During her time in Lospalos, she taught a series of creative writing workshops for young people. Lovely! Thank you for sharing LO’UD’s story. It’s been a privilege to work with them over the last decade.